Ahead of the RTÉ Arena special celebrating the beginning of the final season of Game Of Thrones, Daragh Downes writes for Culture about the phenomenal success of the most popular TV show of the 21st century. And soon our watch is ended. 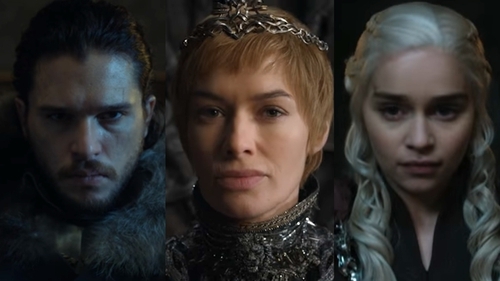 On April 14, after a human-rights-violating hiatus of 595 days, the eighth and final season of Game of Thrones hits our small screens. Fans of HBO’s outlandishly successful show will finally get to add just over 7 hours to the 2 days, 15 hours and 30 minutes of mayhem-TV their devotion has already seen them clock up. What a journey it has been so far. From Castle Black to King’s Landing, from Pentos to Meereen, the night has been dark and full of terrors. The day hasn’t exactly been a house of fun either. How exactly is it that series creators David Benioff and D. B. Weiss have managed to hook in so many millions of otherwise healthy-minded citizens? We started out in 2011 with Ned Stark’s summary beheading of a ranger who had deserted the Night’s Watch. By the end of episode 9, Ned himself was beheaded--and Sean Bean gone from the show. The last thing we saw in 2017 was a resurrected dragon bringing down the great wall of ice protecting the northern border of the Seven Kingdoms. Along the way, we met and lost over half the named characters—and not to old age. We followed the fierce and neverending contention between the Starks and the Lannisters. We came to see Hodor for the hero he always was, and Ramsay Bolton for the dog food he was always destined to become. We watched Dany Targaryen evolve from bullied younger sister to chief claimant to the Iron Throne. We also saw her sleep with her nephew Jon. Those of us who have become thoroughly engrossed and engeeked by this show must look faintly ludicrous to the rest of humanity. How exactly is it that series creators David Benioff and D. B. Weiss have managed to hook in so many millions of otherwise healthy-minded citizens? The obvious answers happen to be the correct ones: complex character arcs, Byzantine political plotlines, extraordinary set pieces, unsanitised depictions of human depravity, audaciously slow-burn storytelling, and of course top-drawer scripting, casting and production. But beyond these virtues, I think we can point to one further killer dimension: jeopardy. The cruelly high attrition rate amongst even very major characters has left no actor on the show safe, and no viewer on the couch comfortable. Crucially, not even those familiar with George R. R. Martin’s A Song of Ice and Fire novels, upon which the series is based, have known for sure what’s coming. Game of Thrones is thus not just a TV adaptation from strong source material, it is itself a ‘strong’ TV adaptation: the off-book deviations have been frequent, fearless and, especially as the series has gone on, extensive. The cruelly high attrition rate amongst even very major characters has left no actor on the show safe, and no viewer on the couch comfortable. For fans bracing themselves for the withdrawal symptoms which the closing credits on May 29’s episode are sure to bring on, there is some consolation to be had in the fact that George R. R. Martin hasn’t yet finished his novel cycle. If you’re reading this, Mr. Martin, I ask but two things. Find a way to make The Hound turn out to be Arya’s father. 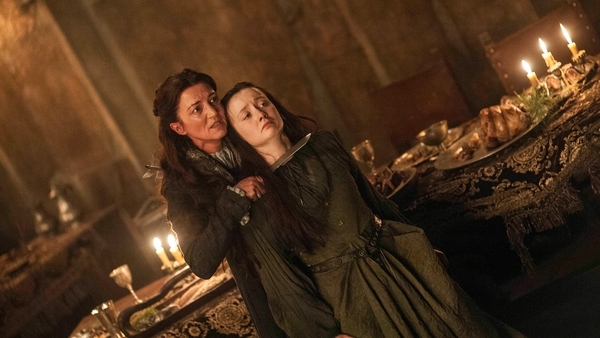 And, for the love of all that is holy, keep that pup Joffrey dead. Daragh Downes teaches literature at Trinity College, Dublin - Daragh can be heard on RTÉ Arena's Game Of Thrones special, which airs at 7pm on Friday, April 5th on RTÉ Radio 1 - listen back here.